To learn what happened to Ramsey Muniz in 1994, go to www.freeramsey.com. 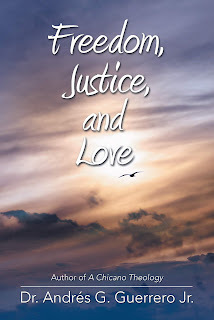 Order the new book about his life and unjust imprisonment titled Freedom, Justice, and Love. Ask you congressman to send a letter of support for Ramsey's Petition for Compassionate Release to Mr. Hugh Hurwitz, Acting Director of the Bureau of Prisons. A sample letter is provided. Free Ramsey Muniz! I am writing to ask for your assistance in locating the Petition for Compassionate Release for Ramiro Muñiz. His petition was sent to a component of the Office of the Attorney General over a month ago. His medical condition is grave, and he is struggling to live. Ramiro Muñiz is at FMC Lexington Federal Medical Center. At age 75 he battles life-threatening chronic conditions including aspiration pneumonia, COPD, atrial fibrillation, and arteriosclerosis. He is dependent on oxygen, and he ambulates by wheelchair with assistance. He suffers from delusions, memory loss, and confusion. Muñiz meets all of the qualifications of the Compassionate Release Program and he needs the care of his family. His wife is gainfully employed and she is able to assume full responsibility for his medical and financial needs. Her home was approved as his place of residence over a year ago. Ramiro Muñiz is a beautiful man who made contributions to his community. He helped many people throughout his life and he is greatly loved by them and his family. We ask that you do everything possible to save him. Please help locate and process his petition. Overcoming years of imprisonment with an uncompromising love for God. Faith and love saved Ramsey Muniz..
You will have this eBook to read on your phone. Teach others to download and read this inspiring book! (ages 16+). The medical staff were of the opinion that I was not going to survive the illness I was enduring. They kept sharing with each other that I was not going to make it, but deep inside I was of the strong opinion that I was not going to die without your presence and your holding me as you always have from the first time that we met to this very day of our lives. I would pray to God Almighty and ask Him to please keep me alive for you, for the family, and for all. I was not done with what He was seeking for humanity knowing that I had been chosen to carry the cross of freedom, justice, and love forever. There is much turmoil and it is all about spirituality in every part of the world. It is extremely sad, because our beloved savior, Jesus Christ, gave His life on the cross, so that we could love each other just as He loved us and continues to love us this very day. The time has come for us to demonstrate to God, to His son, Jesus Christ, and nuestra Virgen de Guadalupe that we are spiritually strong. We shall demonstrate to the world that in reality our time has come and we must return to God's ways and thank Him for the life that He continues to give us! God knows that I am stronger in my spiritual beliefs, prayers, and meditations. Family and supporters of Ramiro “Ramsey" Muñiz traveled to Philadelphia and the White House to send a message to President Barack Obama, Democratic presidential nominee, Hillary R. Clinton, and the Democratic Party. Pablo Delgado, Jorge Lopez, and Monica Acosta-Zamora traveled to Philadelphia and the White House with a message of Freedom, Justice, and Love. Muñiz, is remembered for helping many people and for his positive contributions during the Chicano Civil Rights Movement. He was a noted voice for Mexican Americans, Chicanos, Hispanics, Latinos, and others during the late 60s and 70s. As a result of his political impact, he became subject to scrutiny and legal problems which resulted in imprisonment several times. Supporters hold that his legal problems were subject to unjust legal proceedings, mistakes, and cruel and unusual punishment imposed with political motives. Muñiz ran for Governor of Texas under the Raza Unida Party, an Independent Political Party, and he faced sudden turmoil after bringing about inclusion for Mexican Americans, Hispanics, Chicanos, and Latinos in the political arena. He has served over twenty-five years of a life sentence in federal prisons for non-violent drug offenses. He was among the first in the United States to be sentenced under the Three Strikes Law, which tied the hands of federal judges regarding sentencing. At 75 years of age and in grave medical condition, he spends 90% of his time in a wheelchair. He is currently awaiting a decision on his Petition for Compassionate Release. Family members and supporters feel a sense of urgency, as Muniz's health continues to worsen. His wife Irma has stated, "My husband, a beautiful soul, is 75 years of age with chronic, debilitating physical conditions. He was a model student who graduated from Baylor Law School with honors and he made history when he became a candidate for Governor of Texas in 1972 and 1974 so that he could become a voice for others. His accomplishments and current imprisonment caught the attention of Dr. Andres Guerrero, Th.D. of the Harvard School of Divinity. 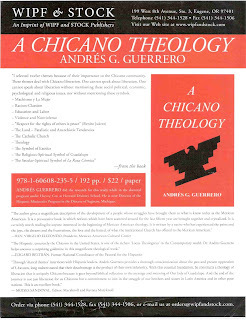 Guerrero currently published his book, Freedom, Justice, and Love, which pertains to the life and unjust imprisonment of Muñiz. In his 1994 trial, prosecutors did not allow evidence which would have exonerated him. He has served nearly 25 years of his sentence of life without parole. How do Americans ever reach our leaders? When faced with unfair practices by the government, to whom can the average citizen turn? Professional organizations call on the Hugh Hurwitz, Acting Director of the Bureau of Prisons, to grant the Petition for Compassionate Release based on its merits. The National League of United Latin American Citizens (LULAC) and the American GI Form have sent numerous resolutions to the white house seeking the immediate freedom of Muñiz. They ask why the Petition for Compassionate Release for Ramiro R. Muñiz has not been granted. He is elderly, in grave condition, and he has never committed a violent offense. His conduct in prison has been good for 25 years. These criteria make him a strong candidate. We strongly urge Hugh Hurwitz, Acting Director of the Federal Bureau of Prisons, to locate and process his Petition for Compassionate Release. We also call on President Donald Trump to pardon Muniz and demonstrate that he is fair and willing to grant pardons to others as he does those who are close to him.. For more information, go to our website at www.freeramsey.com. The family and supporters of Ramiro “Ramsey: Muñiz are taking a Caravan for Freedom to Philadelphia to get the attention of President Barack Obama and Hillary R. Clinton, presidential candidate for the Democratic Party. Pablo Delgado and Jorge Lopez of McAllen, Texas, and lifelong supporters of Muñiz will arrive in Philadelphia to take their message of freedom to the Democratic National Convention, and garner support for the release of Muñiz. Ramsey Muñiz, who is remembered for helping many people, is respected for his positive contributions during the Chicano Civil Rights Movement. He was a noted voice for Chicanos, Mexican Americans, and others during the 60s and 70s. As a result he became subject to scrutiny and encountered multiple legal problems. He has served over twenty years of a life sentence in federal prisons for non-violent drug offenses. Muñiz was among the first in the country to be sentenced under the Three Strikes Law, which tied the hands of federal judges regarding sentencing. At 73 years of age and in deteriorating health, he spends 90% of his time in a wheelchair. He, along with family members and supporters, seeks a Compassionate Release or Commutation of Sentence from President Barack Obama before he leaves office. Organizations such as the League of United Latin American Citizens (LULAC) and the American GI Form have sent resolutions to President Barack Obama, seeking the freedom of Ramsey Muñiz. They have asked why name of Ramiro “Ramsey” Muñiz has not been listed among the petitions granted. Muñiz is elderly, in poor health, and he has never having committed a violent offense. These criteria make him a strong candidate for Executive Clemency. Hispanics strongly urged President Obama to grant his immediate freedom but he did not do it, leaving many people shocked and questioning the morality of all leaders. We are honored to have Dr. Andres Guerrero, a graduate of Harvard Divinity School, write a book on the life and imprisonment of Ramsey Muniz. 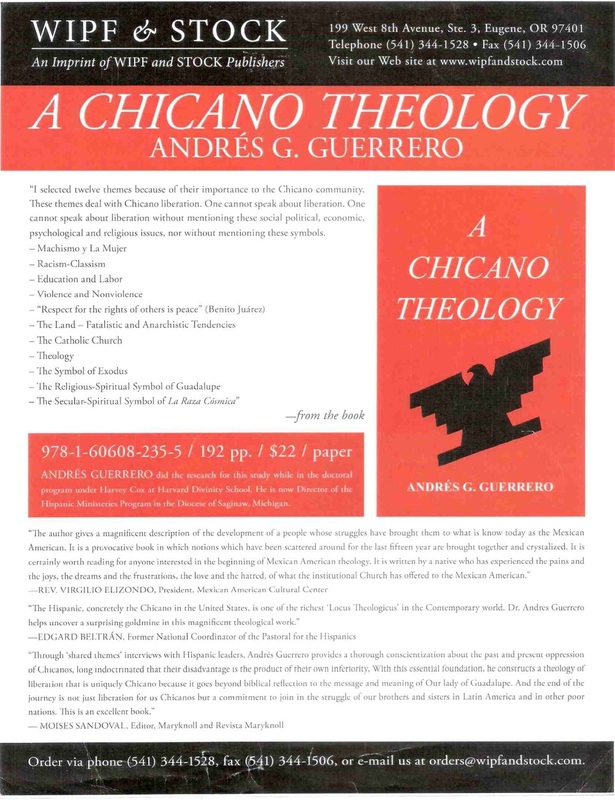 Dr. Guerrero's previous book titled A Chicano Theology is available for purchase. See the ordering information above.